August 20, 2012 August 21, 2012 Carolyn O'NealLeave a Comment on Solar-powered toilet produces hydrogen and electricity. Solar-powered toilet produces hydrogen and electricity. 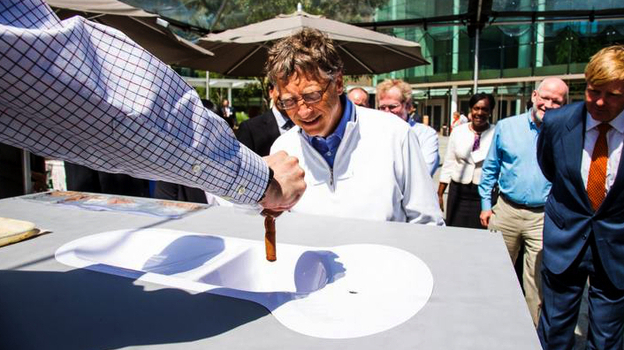 Bill Gates, co-founder of the the Bill & Melinda Gates Foundation, checks out a toilet demo at the Reinvent the Toilet Fair in Seattle, Wash. The festival featured prototypes of high-tech toilets developed by researchers around the world. A team from the California Institute of Technology, lead by environmental engineer Michael Hoffmann, created a solar-powered toilet that produces hydrogen and electricity. A group from Loughborough University in the U.K. built a toilet that uses energy from the feces to decompose the waste and recover clean water. And chemical engineers from University of Toronto invented a toilet which sanitizes waste within 24 hours by dehydration and smoldering. 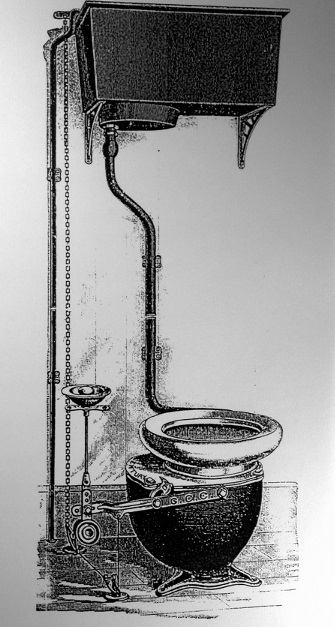 In contrast to these high-tech commodes, the traditional toilets we know so well are clunky relics. They haven’t changed much since the 18th century and require between 1.6 and 3 gallons of water per flush and a hookup to a expensive sewage system.They are also luxuries that most communities around the world don’t have. Some 2.5 billion people lack clean, safe bathrooms; this costly sanitation problem kills nearly 1.5 million children annually. Over the past two years, the Bill and Melinda Gates Foundation has invested nearly $150 million into improving global sanitation, Carl Hensman, a program officer at The Gates Foundation, tells Shots. The next step, Hensman says, is to take the top-performing technologies at the Reinvent the Toilet Fair and start making larger scale pilots. The foundation’s goal is to have one of these super toilets up and running in a community by the end of 2014 or 2015.